CAROLYN L. MITCHELL, daughter of the late Earnest Tunstall and Sadie Jones, was born June 10, 1946 in Baltimore Maryland. She departed this life on January 21, 2019 at John Hopkins Hospital. She received her education from Paul Lawrence Dunbar High School in Baltimore city. She was employed with Johns Hopkins for many years prior to her retirement. 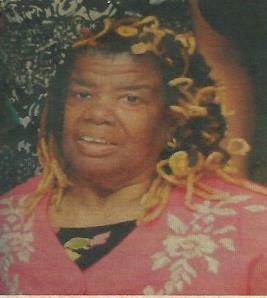 She was a lifelong member of Southern Baptist Church of Baltimore City, Pastor Dr. Donte' L. Hickman, Sr. While residing in Virginia for many years, she met the love of her life Ronald W. Mitchell. Carolyn was a devoted wife and mother to her three children and "Butter Cup" is what they called her! She loved to cook, crochet, do crossword puzzles and knit. She gave gifts to everyone especially during the Holidays. Everyone called on Aunt Carolyn to baby sit their children. It started with her sisters, than her sister's children and then her sister's children, children. But let's not forget, Carolyn was known for sitting on her porch, playing the most popular music for the neighbors to enjoy. Some of her favorites to play was oldies but goodies, just to name a few; Sam Cooke, Martha and The Vandellas, The Manhattans and The Temptation. Her all-time favorite actors were Sean Connery and Elvis Pressley. Carolyn and Ronald became a Union on Elvis's birthday. She leaves to mourn her husband of 55 years, Ronald W. Mitchell. Three sons Brian L. Mitchell, Bradley T. Mitchell and Curtis L. Mitchell (preceded in death); one brother; Timothy Bowman (Deborah); three sisters; Jacqueline Goodman (Thomas), Joyce Tucker (Walter), and Wendy Barnes; two grand-children; Bradley T. Mitchell Jr. and Breonna Wilson; one great-grandson; Legend Mitchell; and a host of nieces, nephews, cousins and friends to include a very dear friend Doris Cotton.